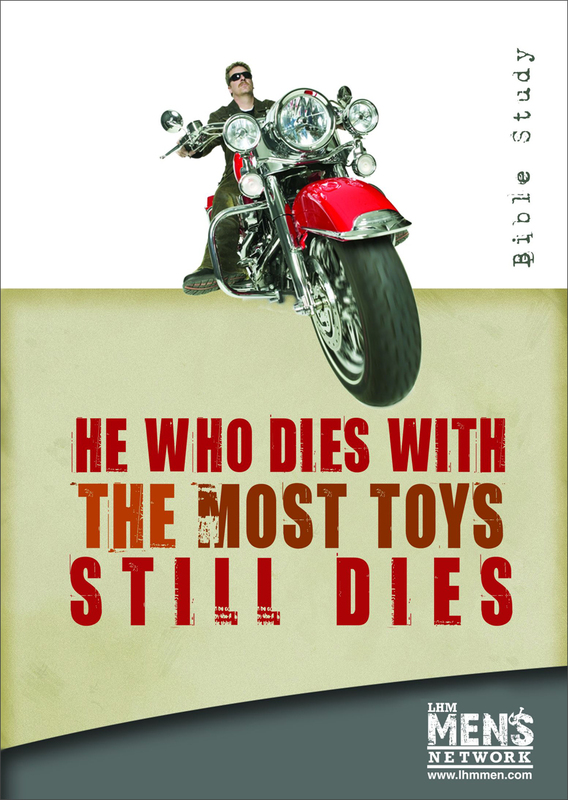 Toys are the things that fill our lives. Most guys are pros in the fine art of stockpiling. Whether it's motorcycles or medals, our stuff isn't going with us when we finally "pack it up" on our last day, so getting our priorities right according to God's Word is good for us and our families. This men's Bible study examines the balance between owning stuff and achieving things, and understanding where our true treasure lies: Jesus Christ. In our society, "having" and "doing" are strong concepts that determine how we view ourselves and how others view us. Whether it's our prized possessions, our trophy house, our superstar wife and kids, or our legacy of achievements and awards-they're all subordinate to our relationship to God and our faith in Jesus Christ as Savior. In this video Bible study, you'll see how toys-those things that can preoccupy our thinking and interrupt our relationship with God-get in the way. You'll see that when our relationship with God is front and center, the things of this life take their proper place as well. In the end, the best "thing" we've been given is that which should be given away-the Good News that Jesus Christ is alive and has forgiven us our sins through His work on the cross. Each video session is approximately 5 minutes which can be followed by 30-45 minutes of discussion. A printable PDF discussion guide is included in the DVD and can be accessed by inserting it in a computer's DVD-ROM drive.